The brothers' initial intention of their first book, Children’s and Household Tales, was to establish a name for themselves in the world. After the first book was published in 1812, they began their second volume, German Legends,which was published in 1818. The book that started their international success was not any of their tales, but Jacob’s publication of German Grammar in 1819. This was one year after their publication of the German Legends. 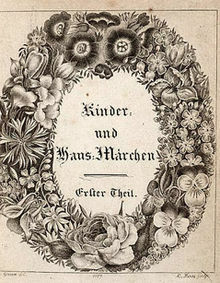 In 1825, the Brothers published their Kleine Ausgabe or "small edition", a selection of 50 tales designed for child readers. This children's version went through ten editions between 1825 and 1858.